Many of us have become desensitized to the idea of a global plague. At least 5 movies released since 2010 have had plots revolving around such an idea, but this scare exists outside the cinema. Is widespread disease actually possible in this day and age? Scientists say yes. We all know about the Black Death, a plague that swept through Europe, Africa, and Asia during the 14th century, killing an estimated 50 million people (over a quarter of Europe’s population). Scientists believe it could happen again. The Black Death (AKA bubonic plague) was caused by a bacterium called Yersinia pestis. Victims developed flu-like symptoms along with disgusting blister-like buboes; between 30% and 90% died within 10 days. We do not have a vaccine to combat Yersinia pestis. Scientists believe that a mutated strain of Yersinia pestis – or even a bioengineered variety of the bacteria – could result in another outbreak. Most people think that the plague is a thing of the past, but in 2013 there were over 700 documented cases of the Black Death. Yersinia pestis (pictured below) is the oldest pathogen genome mankind has managed to obtain. Using the teeth from two 1,500-year-old corpses, scientists were able to identify and reconstruct the bacteria, linking it to several other plagues throughout history. “We know the bacterium Y. pestis has jumped from rodents into humans throughout history and rodent reservoirs of plague still exist today in many parts of the world,” explained Dave Wagner, an associate professor at Northern Arizona University. 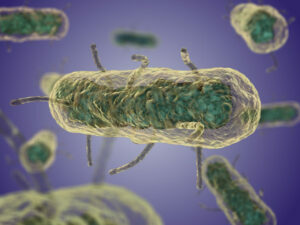 A recent study published in The Lancet Infectious Diseases hints of the possibility of future outbreaks. “If the Justinian Plague could erupt in the human population, cause a massive pandemic, and then die out…it could happen again,” said Wagner. The most disturbing part of all of this is the potential for biological warfare. The United States considers Y. pestis a “category A pathogen,” which requires preparation for a potential terrorist attack. It’s one thing to prepare for a weapons ban, a drought, or even a hurricane – but how do you prepare for a pandemic? Scientists refer to the modern era as the “Anthropocene” (Age of Man). This new geological age faces several threats including resource depletion, loss of biodiversity, overpopulation, and global plague. The most recent pandemic occurred in 1968. In other words, we are overdue. A pandemic is hard to predict, but the results are not. If a plague were to strike in the 21st century, the death toll could reach into the hundreds of millions. Global industry and food production would take a serious hit. While our medical and scientific knowledge is far better than it was during previous pandemics, we have the weakness of international travel. At any one time, one million people are in the air. That means than an aggressive and transmissible influenza could reach every continent on the planet within 36 hours. Our second problem is complexity. In the past, many folks lived in the countryside, growing their own food and maintaining their own machines. Today, we depend on an incredibly complex web of technologies and supply chains that most people don’t understand. If, say, 50% of the population were killed, what would happen to the rest of us? Lights would go out, delivery drivers would be dead, shops would be empty. Law and order would break down. Apart from a few people with immunity, heavily populated cities would suffer the most. Small islands might be saved through quarantine. A plague like this could mean the end of – or at least a pause in – modern civilization. If a pandemic could destroy the world as we know it, why do we spend so much time worrying about other dangers that kill hardly anyone? According to John Oxford, a world authority on epidemics and Professor of Virology, it is “because we think infectious diseases can be handled.” Diseases have been with us for as long as we can remember. We are familiar with then. Survival Update begs you not to become desensitized to the threats of today’s world. We strive to provide you not only with news you need to know, but also tips, tricks, and advice to how to prepare and how to survive when the going gets rough. Knowledge is the only weapon mankind has against global disease. Keep your eyes open and hone your skills to be as prepared as possible for any type of disaster. For a preview of what life could be like during a pandemic, check out the 2011 movie Contagion directed by Steven Soderbergh. The film explores the possibility of a worldwide plague that originates in Hong Kong with Gwyneth Paltrow as “patient zero.” I recommend this movie because, surprisingly, the science behind it is 100% plausible.